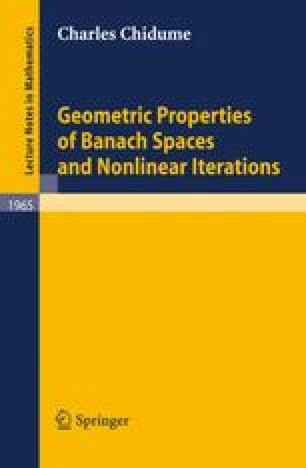 In the first part of this monograph (Chapters 1 to 5), we explore selected geometric properties of Banach spaces that will play crucial roles in our study of iterative algorithms for nonlinear operators in various Banach spaces. In this chapter, we introduce the classes of uniformly convex and strictly convex spaces, and in Chapter 2, we shall introduce the class of smooth spaces. All the results presented in these two chapters are well-known and standard and can be found in several books on geometry of Banach spaces, for example, in Diestel , or in Lindenstrauss and Tzafriri . Consequently, we shall skip some details and long proofs.